Reception is open from 7am to 9pm please Dial 9 or drop in if there is anything we may help you with. Check-in is available from 12 midday and check-out is 10am. Early check-ins and late check-out may be arranged if room availability is possible. After hours check-ins may be arranged upon booking confirmation. For your convenience a tour desk and maps are available from reception to show you what is happening in and around Townsville. The Monte Carlo Motor Inn offers a wide range of catering packages tailor made to suit your requirements including Buffet, Table Service and Morning & Afternoon Teas. Our Restaurant & Bar are private, fully air conditioned and accommodates up to 60 seated guests. Enjoy the Monte Carlo’s tropical swimming pool by taking a refreshing swim or just laze around in the tropical setting complimented by the motel BBQ facilities. BBQ utensils are available from Reception for use at the BBQ area at no charge. Guests have access to the communal laundry facilities at the Monte Carlo. The Monte Carlo Motor Inn has undercover parking facilities and full security surveillance for guests safety and peace of mind. Guests have a comprehensive selection of FREE DVDs available for their enjoyment. Please contact reception to view. FREE Wireless Internet is available in all area. Please contact reception for your password. All rooms have room service available should it be required. Hours of room service are as outlined below. 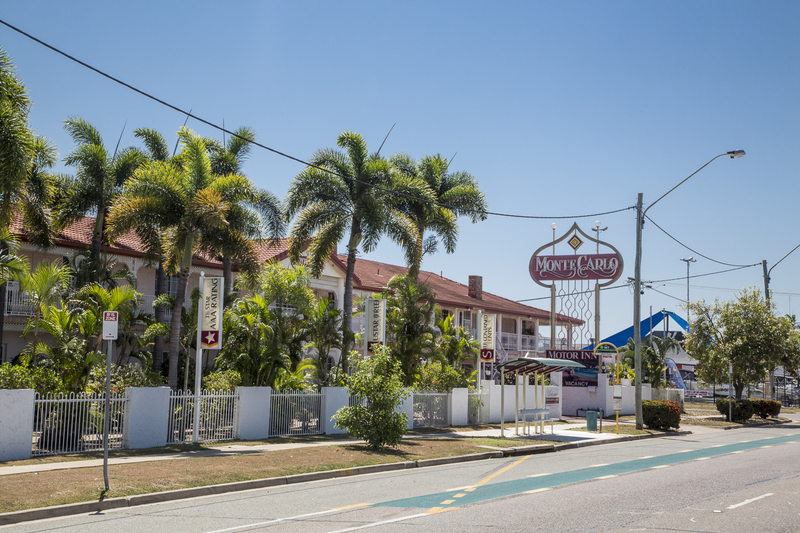 Alternatively you may dine in the motel restaurant for dinner from 6pm Mon – Fri.
To help keep your room fresh during your stay our room attendants will service your room daily from 10am. If you do not require housekeeping please contact reception.